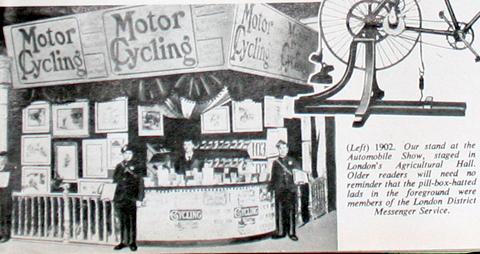 With the end of World War Two, nearly all new cars and motorcycles had to be exported to repay Great Britains’s overwhelming debt to America. 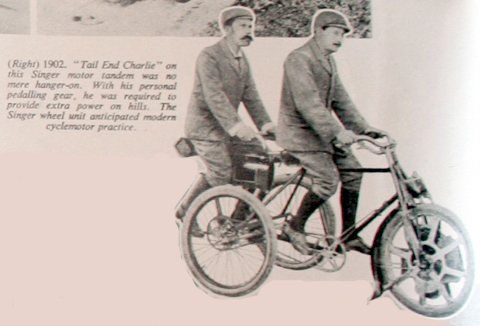 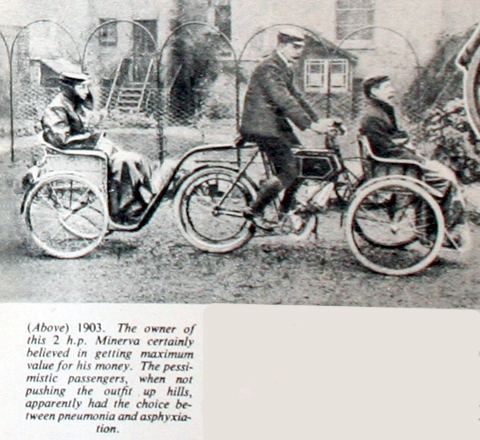 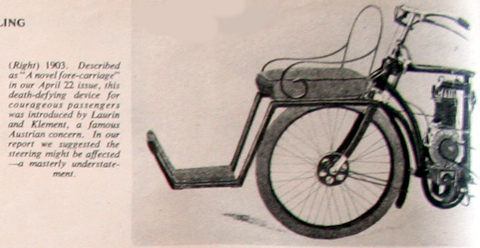 As a result, the only transport available was the humble bicycle – just as it had been at the turn of the 20th century. 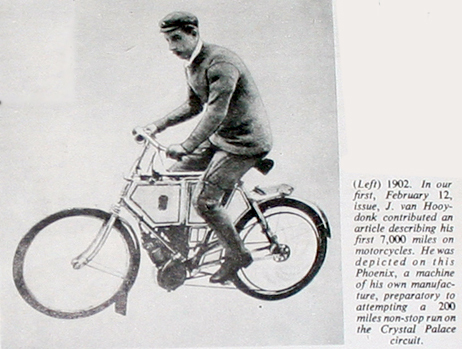 By 1952, dozens of different types of clip-on engines had come onto the market so that commuters could attach them to their bicycles. 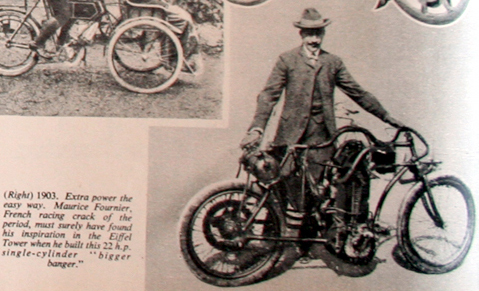 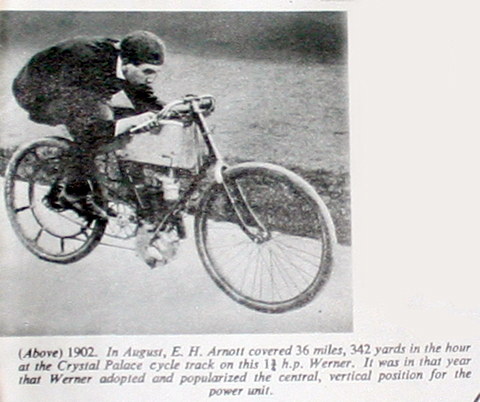 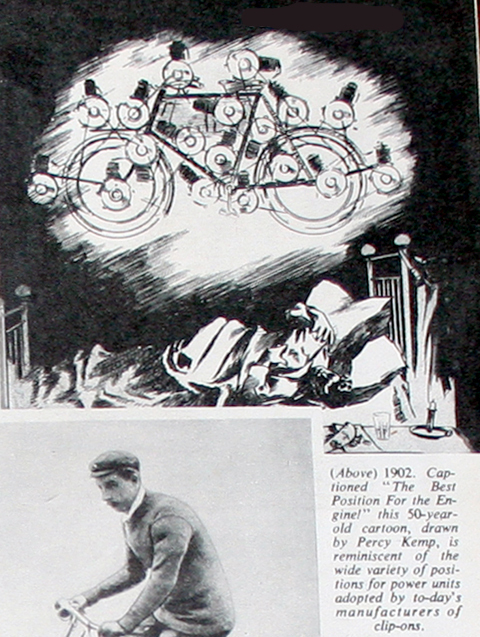 Motor Cycling Magazine raided their own archives for a feature on the history of the motorcycle. 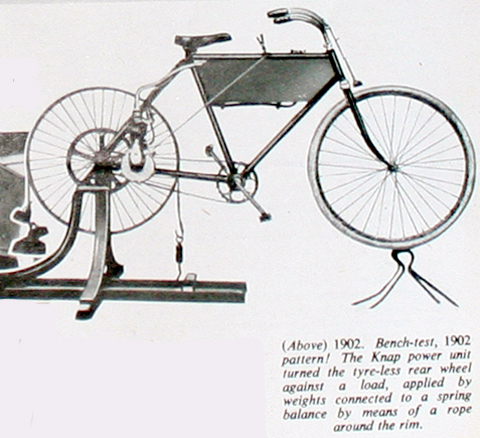 Though the early machines depicted here had larger engines than the 1950s varieties, it’s interesting to see how similar many of them were in terms of design simplicity and riding position. 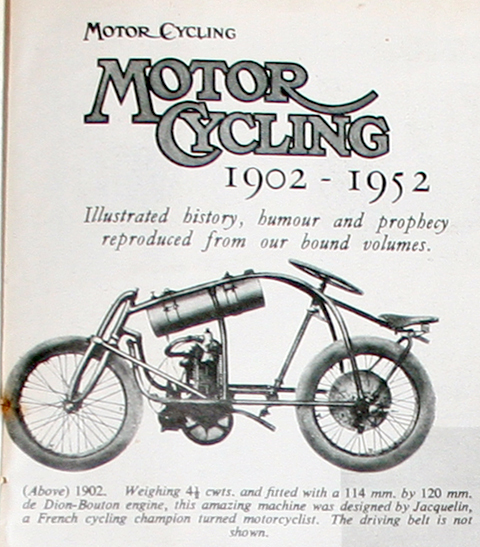 These selections were from the very first issues of Motor Cycling Magazine, which started with the issue of 12th February 1902.